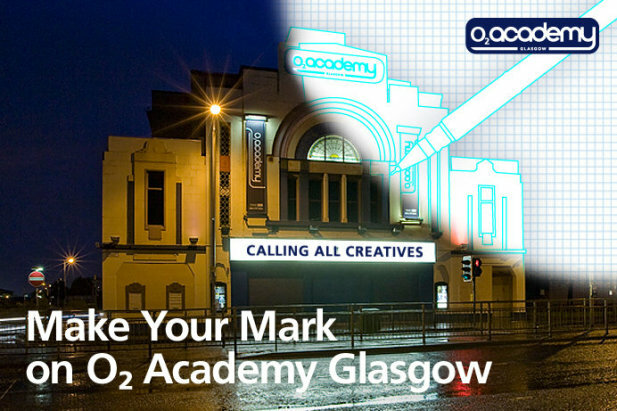 Glasgow's iconic music venue the O2 Academy on Sauchiehall Street is looking for some new permanent artworks and has invited artists and designers from the UK and Ireland to submit ideas. Four panels will be displayed in the venue's main auditorium and the winners will be selected by a judging panel including Alex Kapranos from my favourite Glasgow band Franz Ferdinand. Along with having your work displayed in the venue, there are gig tickets £1000 up for grabs for each winner. There will also be a public choice award with gig tickets and £500 for the artwork that receives the most public votes. Deadline for submissions is 30 July, for more information and templates visit Talenthouse. Update on 1 August: The deadline for this competition has been extended! You can now submit your ideas until 6 August and the public vote will run from 7 to 14 August!